ATTN: Members—please be aware of a Phishing Call that is currently going around---if you receive a call from 1-888-918-7313 (or even just a 1-888)---it is a number that has been used to scam security companies, places of business, and credit unions. DO NOT GIVE any account or personal information. If you have any questions/concerns, please call the credit union at 440-843-8300. New cash back offers tied to your debit card are here! 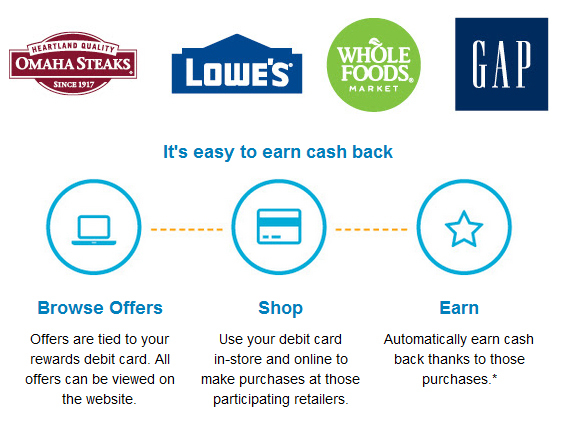 Earn cash back from the most popular national brands + your favorite regional & local retailers as well! Ampre offers cash back at thousands of popular retailers, both in-store and online. Select the button below and select the "Create an Account" link on the landing page. This institution is not federally insured, and if the institution fails, the Federal Government does not guarantee that depositors will get back their money. MEMBERS' ACCOUNTS ARE NOT INSURED OR GUARANTEED BY ANY GOVERNMENT OR GOVERNMENT-SPONSORED AGENCY. PSE Credit Union is committed to providing a website that is accessible to the widest possible audience in accordance with ADA standards and guidelines. We are actively working to increase accessibility and usability of our website to everyone. If you are using a screen reader or other auxiliary aid and are having problems using this website, please contact us at +1 440 843 8300. All products and services available on this website are available at all PSE Credit Union branches.